Slow-moving cold front to focus heavy rainfall across the Plains this weekend. Some of your properties are in the storm's path and are at an increased risk of damage. If you are in need of our services please call the MediGroup Emergency SRM Hotline: 888.243.5760. A slow-moving cold front will provide the focus for persistent heavy rainfall beginning Saturday afternoon and into early next week. 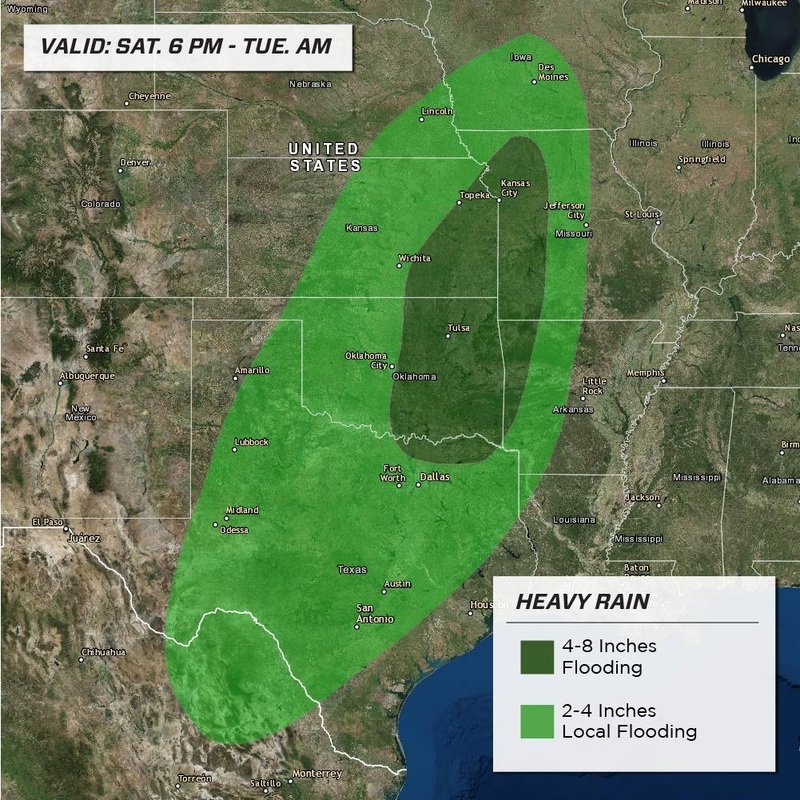 The flooding threat will begin Saturday afternoon across western and central Texas as well as western and central Oklahoma, progressing northward into central and eastern Kansas, western Missouri, and central Iowa by Sunday morning. Rain will continue into Sunday night across eastern Kansas, central Iowa, and western Missouri, southward through central Texas. Rain will taper off from central Kansas, southward through central Texas Monday morning, but continue for areas eastward through early Tuesday morning. Major disruptions to logistical operations and transportation delays are expected across areas that experience the heaviest rainfall.